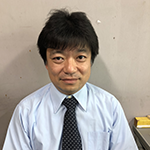 Dr. Kenji Iimura has been studying the behavior of colloidal particles in suspension and development of novel synthesis process of functional materials. As for theoretical work, he adopted discrete element method to colloidal system in advance and developed a landmark model to simulate the behavior of particles in flows. Recently he focused on the synthesis of functional materials and developed advanced topics such as ozone assisted synthesis of nanoparticles and fabrication of fibrous functional materials. These researches will contribute to sustainable society and improvement of QOL. He is active not only in his own research activities but in the academic societies such as the Society of Powder Technology, Japan. In addition, he has contributed to activities including a board of director of Society of Powder Technology, Japan, an editorial board of international journal of Advanced Powder Technology, an organizing committee of several conferences on powder technology. A winner is promoting collaborations with the researchers and engineers in various fields of academia and industry. His effort is expected to make him to be one of the researchers to lead further advancement of powder technology as well as industry. (Professor) Outstanding fundamental research achievements on the mechanism and modeling of soft particulate materials such as interfacial structures, surface forces, particle dispersions, and cell-particle interactions. Aichi Gakuin University(Professor) The winner of this award has addressed the design of polymeric nanoparticle for drug delivery system based on the powder technology and particulate design engineering. (2011） Hideki ICHIKAWA Laboratory of Pharmaceutical Technology, Faculty of Pharmaceutical Sciences, Kobe Gakuin University Prof. Hideki Ichikawa has been working on" nanostructure designs" for the functionalization of pharmaceutical preparations composed of nano- and micron-sized particulate systems and the development of the novel particulate DDS (drug delivery system). (2011） Junya KANO Institute of Multidisciplinary Research for Advanced Materials, Tohoku University The winner of this award has addressed the establishment of a new simulation method for media behavior during ball grinding precisely, and the development a new and novel method to predict the particle diameter of powder in grinding process. (Professor) Study on dry powder handling operations. Especially establishment of the precise experimental methods for impact charging of a single particle. (Associate Professor) Development of the evaluation method for particle adhesion, continuous micro-feeder using ultrasonic vibration and electrostatic measurement system of simultaneous phenomenon of particle flow rate and electric charge.